The invoice price & true dealer cost are not the same. The true dealer cost of a Ford Escape is lower. 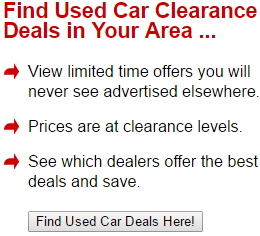 Note: The Ford Escape pricing report below does not include rebates or incentives. View Ford Rebates and Incentives. Ford Escape Prices - How Much is a Ford Escape? The 2019 Ford Escape expertly blends utility with performance, which is rare for a compact crossover SUV. With its turbocharged engine, the Escape drives less like an SUV and more like a sedan, all without compromising the versatility of such a vehicle. If it sounds like the best of both worlds, that's because it is. The Escape has more cargo space than most but not all of its competition. Though the front-wheel drive is standard on the Escape, you can also swap to all-wheel drive for more control when it rains. There's also an optional 2.0L engine capable of producing 245 horses, but if you don't need all that, you can get by with the 1.5L engine instead. In both cases, you get a six-speed automatic. Still, the 2019 Ford Escape isn't free of faults. It's been a while since this generation first came out, and the features and look are both dated. Plus, driver safety aids you'd find standard on other vehicles remain optional here. Finally, the interior doesn't inspire drivers at all. Despite all this, it's still worth looking into for an affordable crossover. 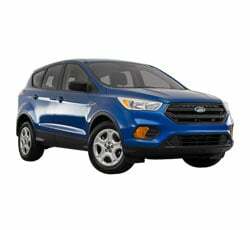 Ford released the third Escape generation in 2013, and the 2019 Ford Escape has few changes to boast. Previously, Sync 3 infotainment was optional but is now standard. Likewise, push-button ignition and keyless entry now come standard on the SE and SEL. The 2019 Ford Escape is a crossover SUV that hasn't seen many upgrades in the last year. Upgrading your Escape to the Titanium trim can become prohibitively expensive, so it's worth it to focus on the SEL trim. Here, you'll get the Escape's most desirable features, which include a power liftgate and premium cloth upholstery, but without the extreme price tag. At this trim, though, the driver aids are still optional, so it's worth taking on the Smart and Safe package for peace of mind. The 2019 Ford Escape comes in four trim choices: the S, the SE, the SEL, and the Titanium. At the base, features include a four-cylinder 2.5L engine, front-wheel drive, and a six-speed automatic transmission. Cruise control, 17-inch wheels, air conditioning, and a reclining rear seat are the standard features you'll find. For convenience, there is a height-adjustable driver's seat, MyKey parental controls, and a steering wheel with tilt and telescoping. Going up to the SE will switch the steel wheels with alloy wheels while adding rear privacy glass, a turbo engine, steering wheel paddle shifters, and sound-reducing window glass. The heated front seats, rear air vents, and dual-zone climate control give you protection against the elements, while the cloth upholstery and keyless entry pad add a touch of luxury. Next up is the SEL, which has all the equipment available on the SE along with parking sensors, improved cloth upholstery, roof rack rails, and a steering wheel wrapped in leather. With the Sun and Style package, you can also get 18-inch wheels and a panoramic sunroof. Rounding off the list is the premium Titanium tier. It comes with everything from the SEL along with a stronger turbo engine, capable of generating 275 lb-ft and 245 hp. Ambient interior lighting and various power outlets add even more luxury. The SE, SEL, and Titanium trims can all get the Safe and Smart package for improved safety in the 2019 Ford Escape. Here, you will get blind-spot monitoring, adaptive cruise control, lane departure intervention, and automatic emergency braking, among other technology. Because the engine responds fast and the handling is stable, the 2019 Ford Escape feels more like a sedan. Of course, the ride comfort suffers a little as a result. Gears are slow to change, tires don't quite grip, and the steering undermines the true sporting potential of the Escape. Opting for the four-cylinder won't get you going very quickly. It takes nearly 10 seconds to reach 60 miles per hour, which is almost one second slower than rivals. Once the turbo has a chance to get going, it's a livelier drive, in any case. Upgrading to the turbo engine drops the time to 7 seconds. The brakes have predictable linear stopping power. You won't struggle to come to a stop during casual drives, though an emergency stop will squeal louder than we'd like. It takes 119 feet to reach a complete stop from 60 miles per hour, which is good. As mentioned, the steering works well enough as you get feedback from the front tires. It has artificial assistance, but the steering wheel is not dull, either. If you are hoping for something sporty, you may be disappointed, however. All-season tires limit the full capabilities of the Escape's handling. Even though the SUV is tall, it composes itself well on the road. Again, competitors have better ride quality as a result of this compromise. The pedal response on the Escape is comfortable, but the shifts are slow, and the transmission could be tuned better. Whether you're in Sport or Drive mode, downshifts aren't quick enough, which is terrible for merging. Finally, the ground clearance is more impressive than other competitors, making it a worthy choice for off-roading. Unfortunately, the all-season tires make it difficult to scramble well. The upgrade to all-wheel drive won't take you through muddy trails very well, either. 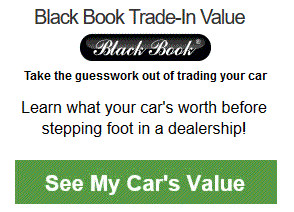 Example: Base Ford Escape invoice price + the dealer Invoice price of all the options + destination - Holdback = Total Dealer Cost. Note: All Ford Escape MSRP, invoice and dealer cost dollar figures above are approximate amounts. Prices are subject to change without notice.